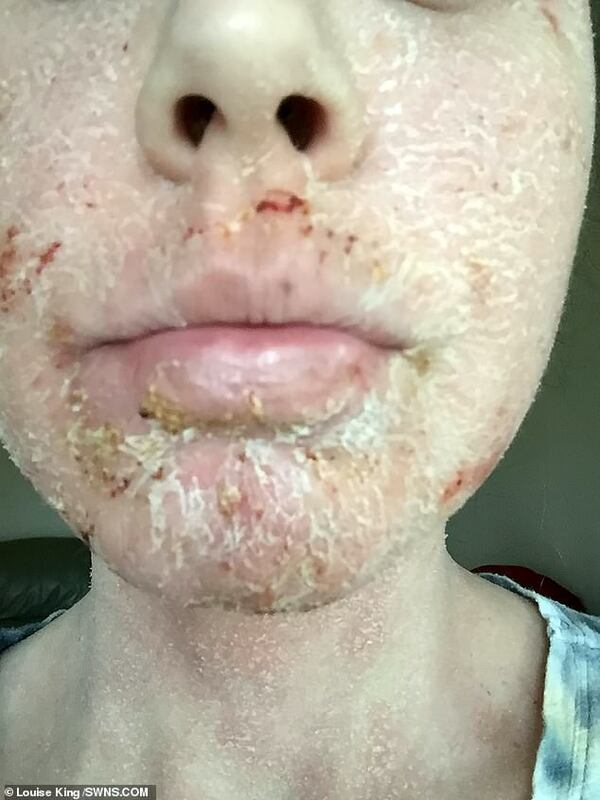 A woman has been left with skin like a ‘lizard’ and unable to be intimate with her boyfriend after ditching steroid creams for eczema. 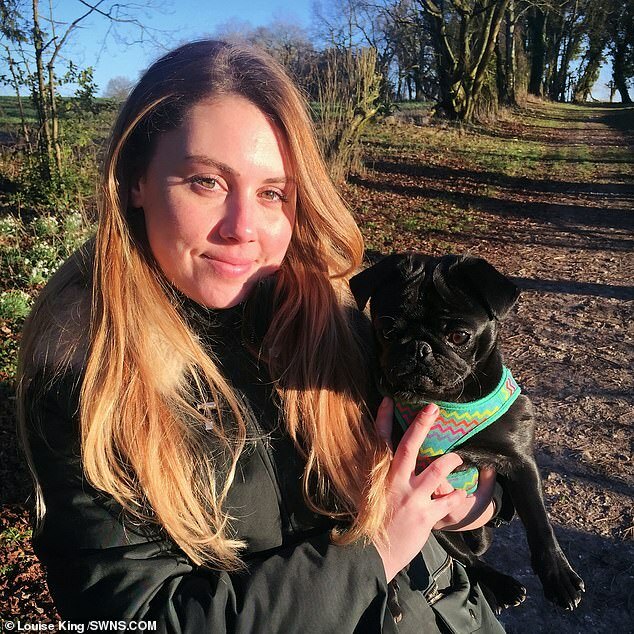 Louise King, 28, from Hampshire, has slathered herself with the strong creams since she was five years old. 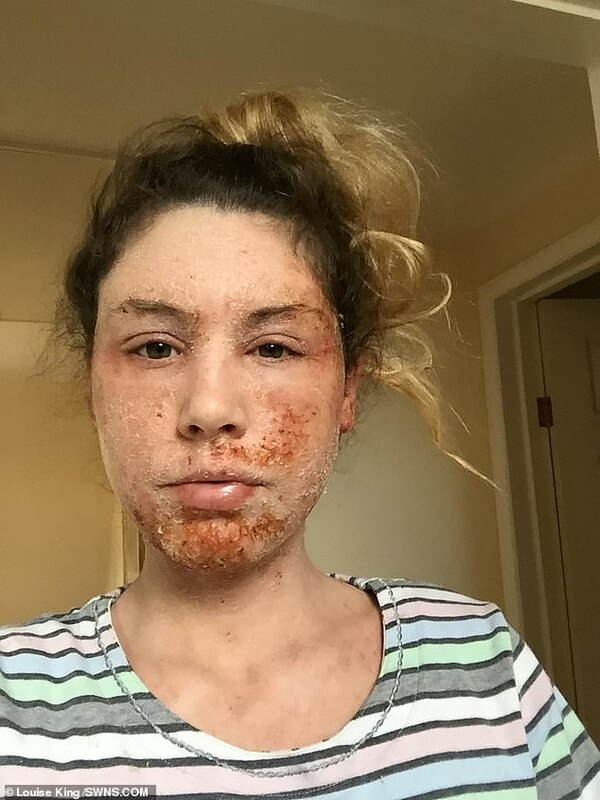 She ditched the treatment in 2018 after discovering it could be ‘addictive’ and she feared it was making her skin worse. But Miss King revealed she has suffered withdrawal symptoms of fatigue, sickness, sudden weight loss, depression, forgetfulness and confusion. 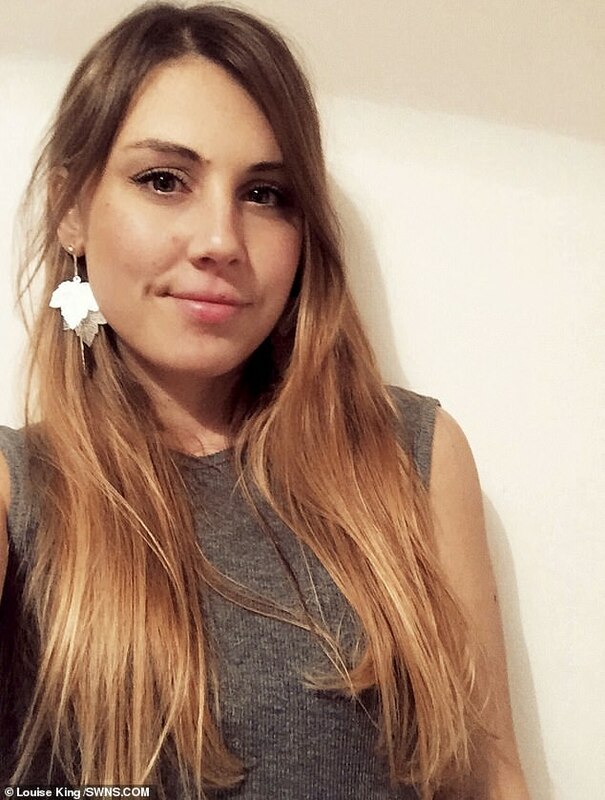 She has had to leave her job as an NHS data analyst due to sickness and the pain of her oozing skin, being cared for by her parents. Miss King said: ‘I loved steroids, they were my lifeline whenever I’d have a bad flare up. ‘But now I hate them and what they’ve turned me into. My whole face is peeling off- I feel like a lizard woman. Miss King, who had been planning to move in with her boyfriend, Brandon, said: ‘He’s been so patient. Explaining her use of the hydrocortisone cream, Miss King said: ‘It’s so addictive because it works so well but in reality it’s not solving the underlying problems and you end up needing stronger and stronger doses. ‘Coming off them has been the hardest thing I’ve ever done. It has badly affected my whole life. After being diagnosed with eczema aged five, Miss King’s parents were given a low dosage of topical steroids which would ‘immediately stop the itching’ when applied. As she got older the flare-ups became more frequent – meaning that her prescription was also increased. Ashamed of her red rashes, Miss King struggled with social anxiety in her teens. ‘I would slather myself in the steroid cream when I had a break out and I thought it was a miracle drug,’ she said. ‘At school I would try and hide my skin underneath thick make up and was always trying to find other ways to ease my symptoms, like E45 or coconut oil. Over time, her skin got worse and it spread to new areas which had never previously been affected – her top lip and all over her back. But every time Miss King returned to her GP she left with a stronger prescription of steroids. 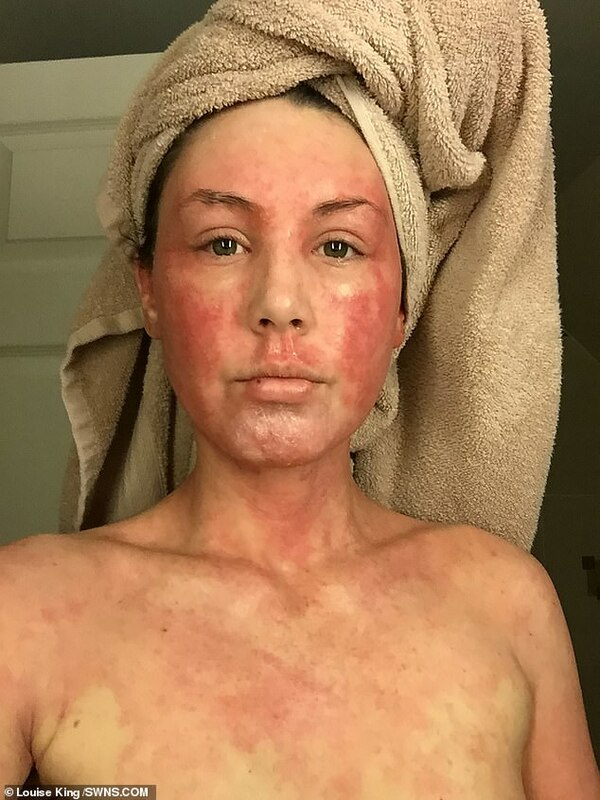 She began to suspect the steroid cream was making her condition worse, and in December 2018 she gave it up. She said: ‘Something was clearly not right, I wasn’t getting better and I was getting much worse. ‘I was always in pain with it and the flare ups were becoming so common there was almost no time in between them like there had been when I was growing up. 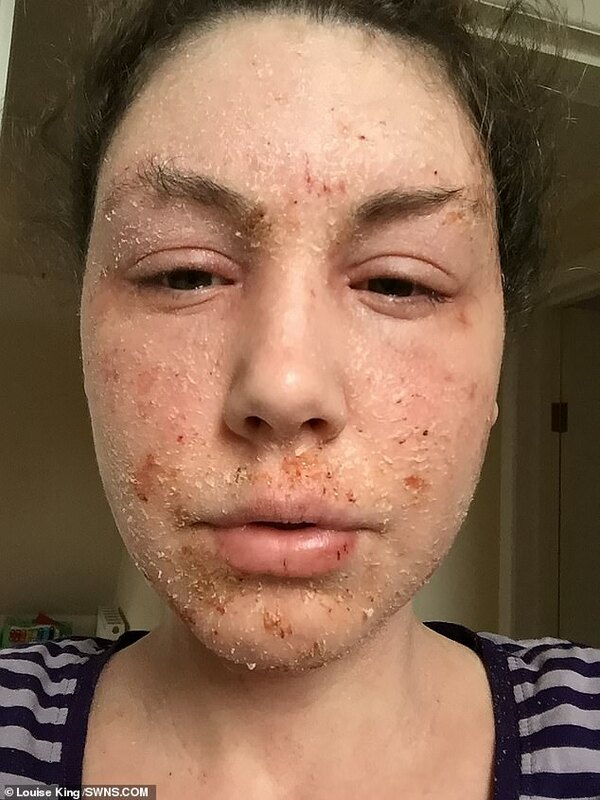 Miss King found a group of people on Instagram who were dealing with the same problem, commonly called topical steroid addiction (or withdrawal). Topical steroid addiction has been recognised by the National Eczema Association since 2013, but it’s prevalence is unknown. Many have called the ‘condition’ a fad, while other experts recognise the condition medically. 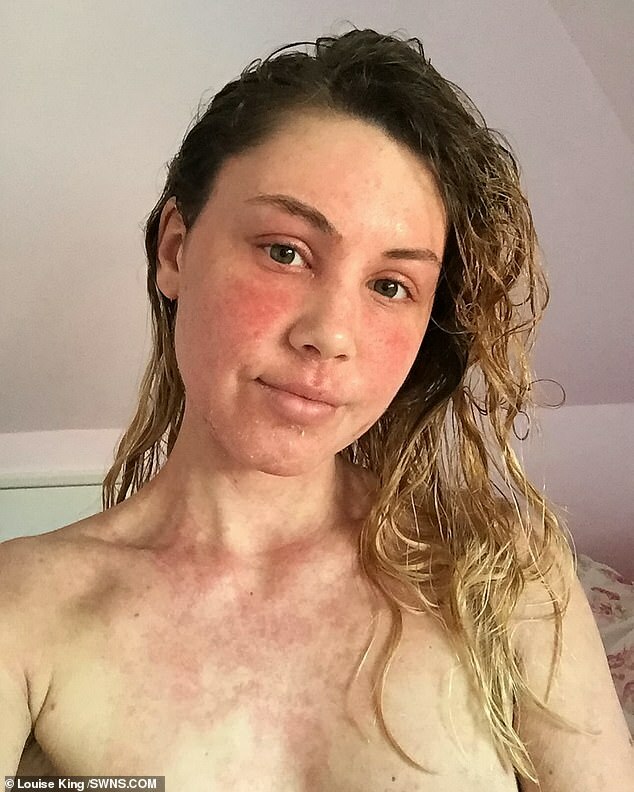 She said: ‘Until I got chatting to those people I had never heard of topical steroid addiction, it opened up a whole new world for me. After a few days of ditching steroid creams, Miss King’s skin had become much worse with the rash spreading over her entire face. 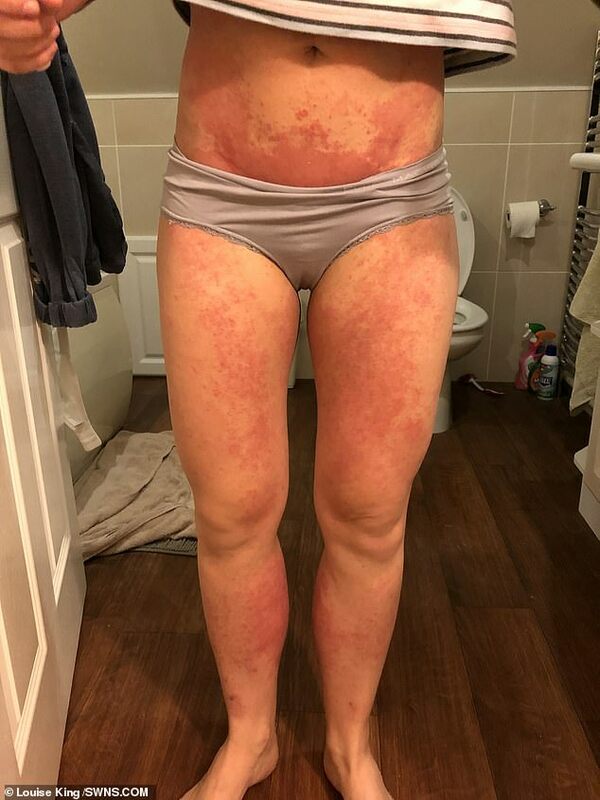 She also said she experienced hot and cold flu-like symptoms, leading to her GP giving her more steroids warning that she might need to be ‘hospitalised’. Miss King said: ‘It was horrible. I was terrified. ‘I knew I wanted to stop using steroids but my skin was in such a state and my doctor was telling me I just needed to use them. ‘I got home and covered myself in the cream but moments later I remembered everything I’d learnt online and rushed to shower it all off. 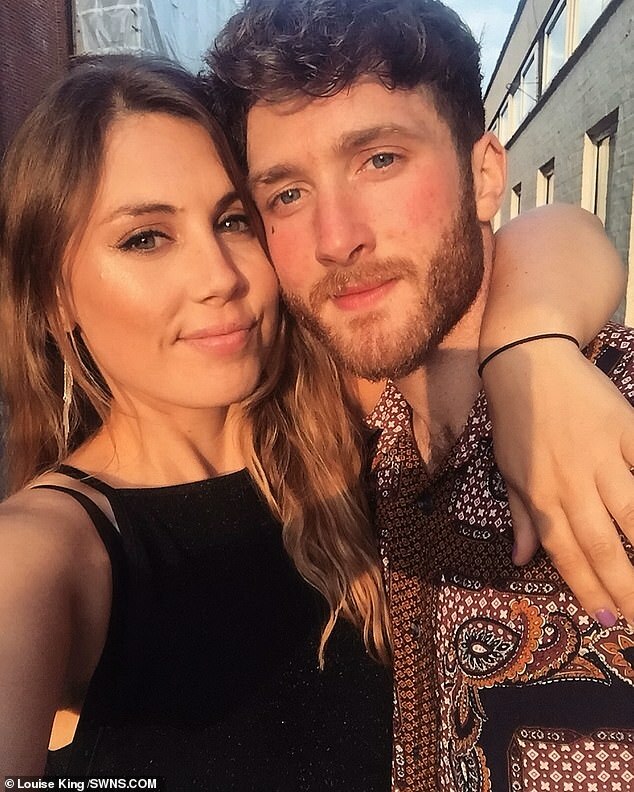 ‘It was insane, addict behaviour that was echoed by fellow suffers that I talked to on Instagram. Just days into 2019, Miss King began to experience the full effects of the withdrawal and was forced to put her new job on hold due to the severity of her symptoms. These included swollen, cracked and shedding skin, fatigue, fever, and even being unable to close her eyes. In mid-January, Miss King finally saw a dermatologist who was ‘horrified’ with her face and tried prescribing her more steroids. She said: ‘I begged her to treat me with something more natural. 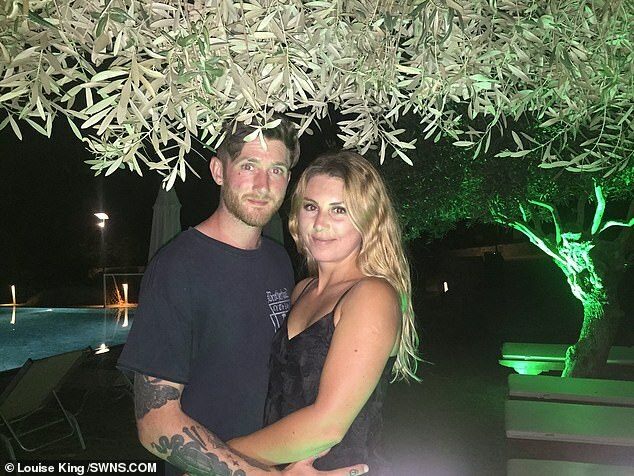 Miss King is determined to heal without steroid creams, even though she has been told by supportive people online that it could take up to five years.